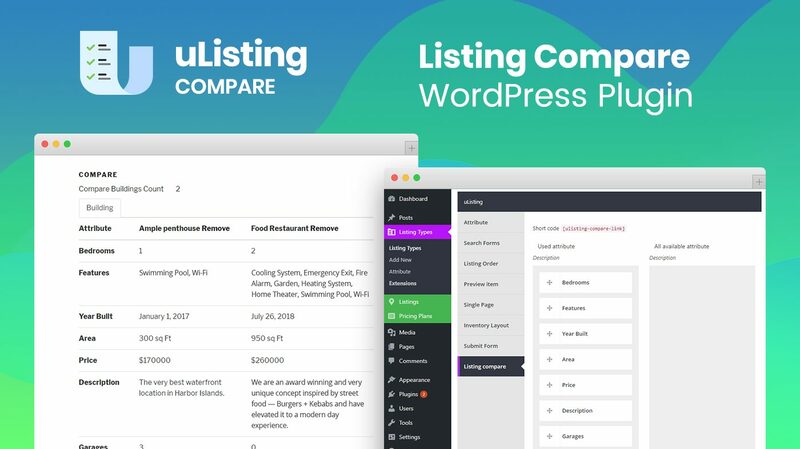 uListing Compare is a paid addon to our free powerful plugin for creating a business listing site. 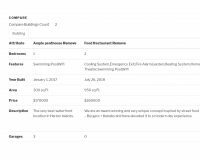 This addon allows creating a compare between two or more different listings. 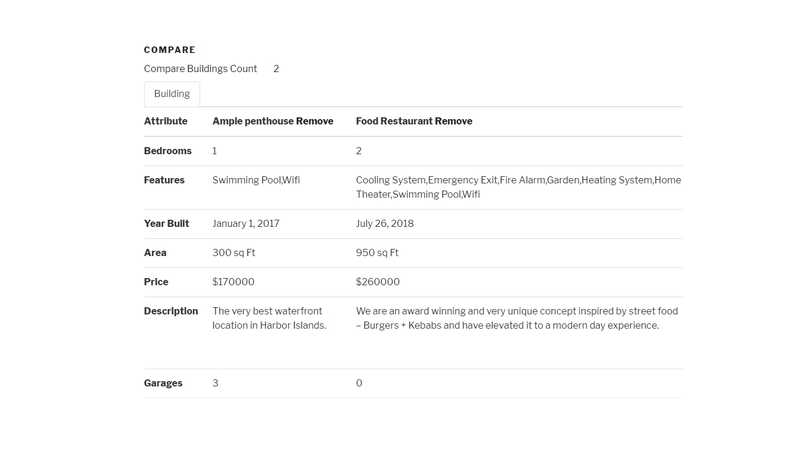 For example, if user is in need of a new apartment and he can’t choose between two similar ones, he can choose both of them and compare their price, area, number of bedrooms and more. 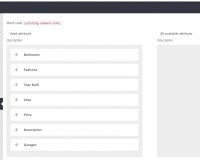 uListing itself is a very powerful and free plugin! But Compare gives you a trully great addition to it’s features!